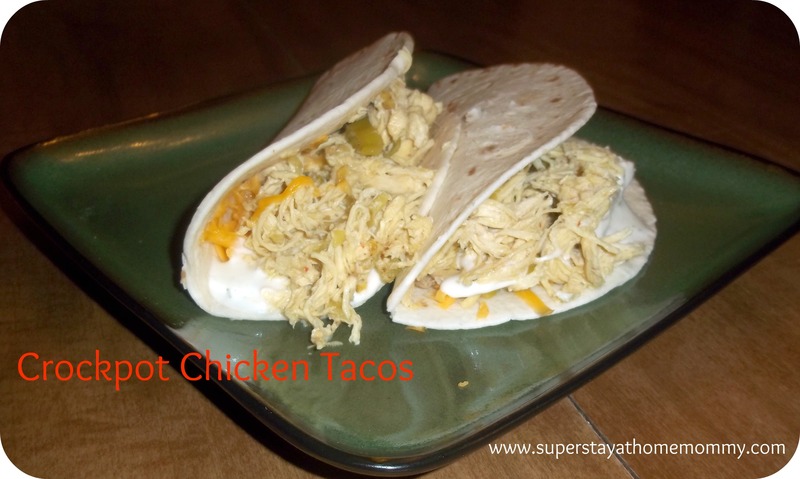 Crockpot Chicken Tacos | Super Stay At Home Mommy! We’ve all been there– It’s time to make dinner and you don’t have all the ingredients you need to make anything. Our old solution was to order take out, but since I became a stay at home mom that was no longer an option. So, I have become quite creative when it comes to making meals out of what I have in my cabinets. That is how this specific recipe was created, and it has become a favorite of ours. And it’s SUPER easy!!! **Note: This dish has a mild heat! Place chicken breast in crock pot- season with salt and pepper. Pour entire contents of pepperoncini jar on top of chicken (juice and all!). Then dump in the Italian dressing. Believe it or not, this is the hardest part- Now just set your crock pot on “LOW” for 6-7 hours, sit back, and relax! When the chicken is done, run a fork through it to shred it. You now have your taco filling! **Warning** Because of the juice from the pepperoncinis, it will be a bit watery. Make sure you strain that a little before you put it in your tacos. 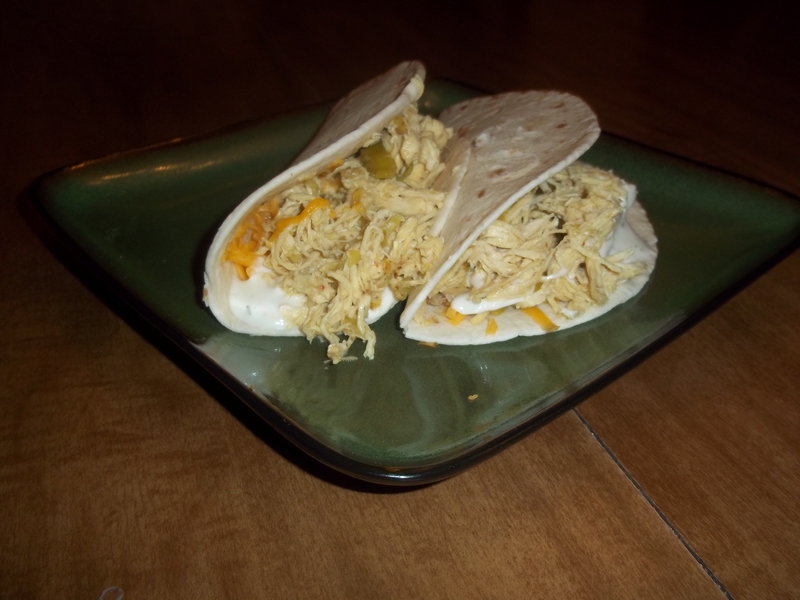 Fill taco shells with the chicken mixture and finish with your favorite toppings! My hubby loves to put some Ranch dressing and hot sauce in his- I have to admit, it’s really good! Sounds Great!! I think that we will try for dinner tomorrow. Thank you for the EXCELLENT recipe. Hope you enjoy it, you’ll have to let me know what you think!